Edith Sibold Runyon….this delightful lady will celebrate her 100th birthday on November 23, 2015. Edith Sibold was born in Keenan, West Virginia, Monroe County, on November 23, 1915, the daughter of John and Bertie Hoover Sibold. Her father John served as sheriff of Monroe County from 1924 thru 1928. Edith lived and grew up in the Keenan area, along with ten other siblings: Cecil, Eva, Annie, Osbie, Roy, Russell, Jesse, Otis, Dennis and Joe. She is the only surviving member of her family of eleven children. She attended the Schley one room school located between Keenan and Union. The principal was Mr. Bert Shirey. Like most other kids growing up during that time, she walked to Schley school. Sometimes when it would snow, it would be so deep that they would have to walk in the direction in which they thought the school was located. She went on to attend Union High School. Her brother drove them to high school in a Model T Ford car. 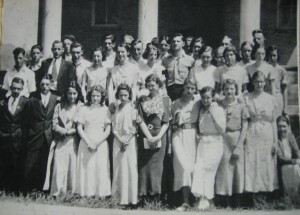 She graduated in 1933. There were 34 members in her class. The principal that year was Floyd Crim. 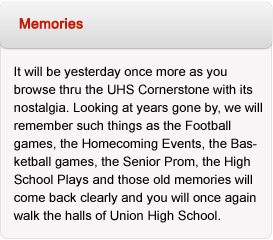 They did not have a senior prom or a class trip. But you will see a senior class photo below. 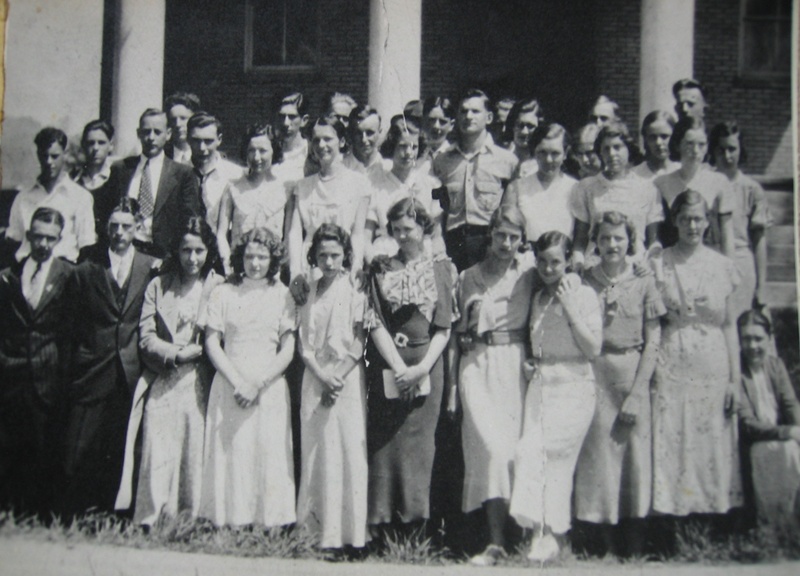 In 1934, the family moved to Covington, Virginia, where Edith became employed at the silk weaving mill. Later she accepted a position as switchboard operator at the Greenbrier Resort in White Sulphur Springs, West Virginia. While working there she met and married Earl Runyon who was also employed at the Greenbrier Resort as a Chef. They had one son, Bobby, who died at the age of 27. In 1974, Earl accepted a position as Chef with the Federal Prison System in Ashland, Kentucky. Upon his retirement in 1984, they returned to Union to build their retirement home. Unfortunately, Earl passed away suddenly in 1986. Edith has two grandchildren: Betsy Wells and Michel Lanum, who resides in Danville, Virginia. Edith continues to volunteer at the Greenbrier Valley Medical Center once a week. 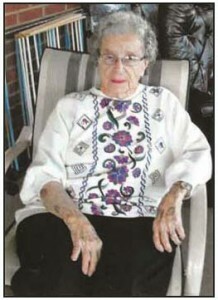 She was honored by the Governor of West Virginia as the “Oldest Active Volunteer” in the State. She is a member of the Union Presbyterian Church, the Eastern Star Organization, the Senior Citizens Group and the CEOS Farm Club. On her last road trip out of the area, Edith drove to Danville, Virginia at the age of ninety years old. Edith was honored with a celebration of her 100th birthday with a party at the Senior Citizens Center in Union, on November 21, 2015, which was opened to the public.